Having fished for many years in Florida, I can honestly say Captain Don is the most superior guide and Captain I have used. A passionate fisherman, Capt Don works with experts and beginners with ease. Our family has had fantastic days fishing with Don, chalked full of amazing fish of all species, fond memories and outstanding photos to stir envy in our friends and family back up north! More advanced fisherman absolutely love his “can do” attitude and relentless pursuit of the targeted species. The only way to fully experience Everglades fishing, sights and adventure is with the knowledgeable and trustworthy Captain Don. I have, without any reservation, made numerous recommendations to friends and colleagues. Can’t wait to get back down to Lunker Land! The best fishing in Florida with a great guide! I have fished the 10,000 Islands area with Capt. Don for the last 6 years and he never fails to provide a unique fish and fun filled trip each time. As a light tackle angler, the thrill of boating a large fish is indescribable. I have never met another guide better at spotting fish from the boat. Having caught permit, redfish, snook, tripletail tarpon and everything in between while fishing with Capt. Don, I have enjoyed each moment of every trip. For an enjoyable and satisfying fishing experience, I highly recommend Captain Don Cochran. My passion is chasing big fish with light tackle and Capt. Don is the real deal. A mix of skill, patience, and years of stalking surpass any previous guiding experience that I have known in the Gulf . 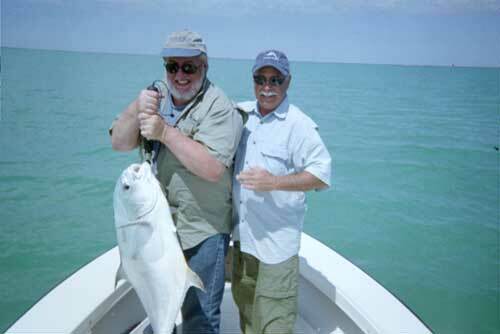 Don's life's experiences in south Florida from Flamingo to Everglades City on the water has made him the perfect fishing, eco, and photographic choice as the only guide that we trust with our family safety and recreation for the past 13 years. Capt. Don gets an A+ referral. A true expert and always puts us on the fish! My son has fished with Capt Don since he was 7 years old and has a blast on every trip! The memories are priceless. Capt. Don is the absolute best! He makes the whole day very exciting and interesting. I've learned a lot about the Everglades fishing with Capt. Don. As a complete beginner, Captain Don's guidance gave me the confidence to keep fighting and reel in a fish that I thought was out of my league. A trip with Captain Don offers relaxing moments appreciating the natural surroundings followed by sheer adrenaline rushes! Each trip with Captain Don has provided life-long memories.